1) Diagnose and treat diseases of the dental pulp tissue and its supporting structures. 2) Diagnose and treat oral and facial pain and related problems. Your general dentist has referred you to our office because he or she believes your dental problem is complicated or more difficult than usual, and requires the expertise of an endodontist. Our office utilizes modern diagnostic technology and microscopic nonsurgical and surgical techniques that give us the capability to treat problems such as yours. 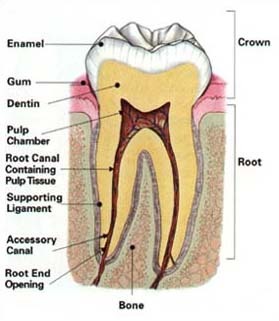 Endodontic therapy is a procedure performed in order to preserve a tooth in which the pulp tissue (the soft tissue within the tooth containing blood vessels, nerves, and connective tissue) has been damaged due to deep cavities, repeated dental fillings, cracks, chips, or trauma, all of which may produce inflammation and/or infection. If left untreated, acute pain and abscess may occur. Endodontic therapy involves the physical removal of the entire pulp tissue, followed by cleaning and enlarging the canal space it occupied, and finally filling the canal space. Occasionally, endodontic therapy is performed intentionally in order to properly restore a tooth that has lost sufficient structure. Endodontic therapy has a success rate of 90% or greater, but sometimes retreatment or surgical intervention is necessary if initial endodontic therapy has failed. Following the procedure, you may experience some minor discomfort for a few days. Medication may be prescribed to ensure your comfort during the healing phase of treatment. Any minor discomfort that you may experience should not alarm you; this is a normal reaction and will not affect the success of your treatment. 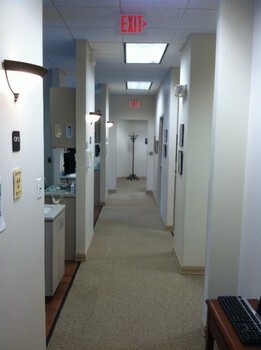 Should any excessive discomfort occur, please call our office. Following completion of treatment, it is imperative that you schedule an appointment with your general dentist for placement of a permanent restoration. This will improve the chances for success of the endodontic therapy.